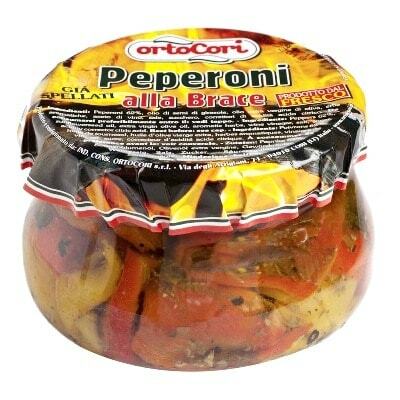 This jar of grilled bell peppers is a bottled culinary gem from the town of Cori, in the Lazio region. To create this culinary treasure, OrtoCori selects the best and freshest bell peppers. Then, they roast them slowly over a flame until they are fully cooked. Once done, the peppers are then peeled, sliced, and infused with olive oil and spices. They can be perfect as antipasti such as in bruschettas or crostinis. You can also mix them with fresh vegetable salads. Or go crazy and eat them on their own. They are packed with vitamin C, after all. A must-have for your Italian pantry, get a jar of these gourmet grilled bell peppers today!